For starters — because Amazon has EVERYTHING you could ever possibly need for your home! Did you recently get engaged? OMG, congrats!! Shout it from the rooftops! You deserve it! You're getting MARRIED! When you're done with your initial celebrations, you should start planning your wedding registry! As someone who has been through the process, trust me when I say building your registry is one of the best parts about planning your future with your partner. 1. Creating your registry is so simple and easy to manage. All you have to do is enter your basic personal info and some details about your wedding, choose whether you'd like to allow group gifting, and select how public or private you'd like your registry to be. Ya' know, the usual sign up stuff. 2. You can register for almost ANYTHING on Amazon. 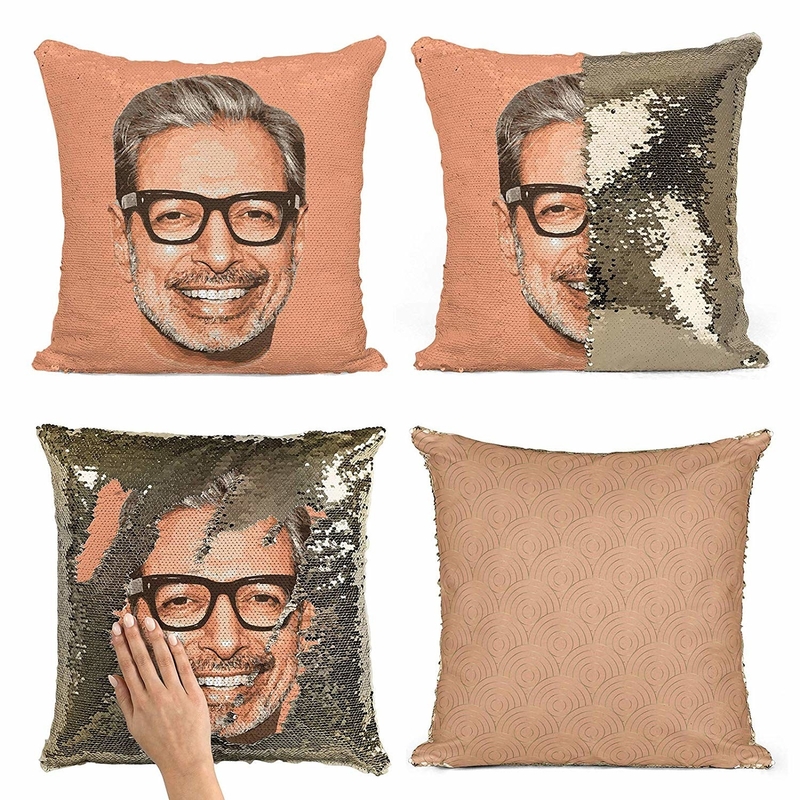 Been dying for a sequin pillow with Jeff Goldblum's face on it? You can register for that! Fancy Castile soap? You can add that to your list! 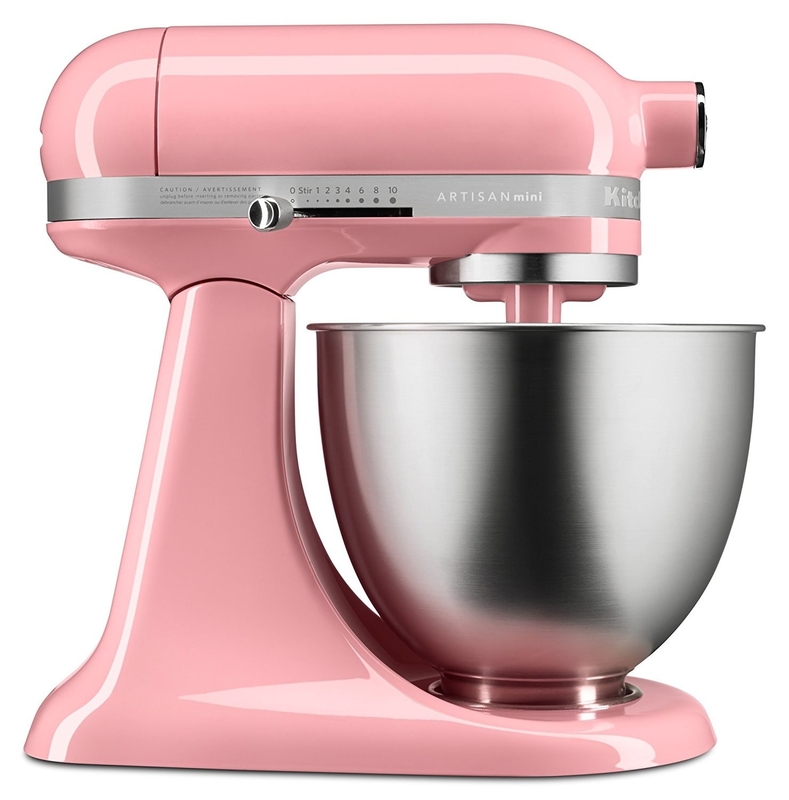 The holy grail of kitchen items (AKA a KitchenAid mixer) — that, too can be on your list. Whether it's something for your home, products for your pets, books, anything your little engaged heart desires — it can be added to your Amazon wedding registry. 3. Amazon has compiled a bunch of inspiration boards to help kickstart your registry process. From the most-shopped wedding gifts to picks from celebrities like Priyanka Chopra, thanks to the many suggestions Amazon has compiled you won't be at a shortage of ideas for what to add to your registry. This is a huge help — narrowing down what you want/need is harder than you think. 4. You can also use Amazon's Universal Registry tool to add gifts from around the web to your registry — EVEN if it isn't from Amazon. Hoping to be gifted a certain bedding set? Or maybe fancy crystal? If you've had your eye on something specific that's not on Amazon, you can add it to your registry with one click. 5. Then, you can personalize your registry by uploading your fave pics and notes, and creating a custom URL. You can also highlight items you love most, so you can tell your guests what 🎶you want, what you really, really want! 🎶This is my favorite feature of Amazon's Wedding registry — you have way less of a chance of getting silly items when it's spelled out for your shoppers. 6. If your guests are already Amazon Prime members, they'll be able to get free two-day shipping on any gifts they buy you. ...and who doesn't love convenience?! Also wonderful for your absent-minded aunt who will likely forget to order you a present until a few days before your bridal shower. 7. Group gifting makes it easy for you to put ~pricey~ items on your registry without feeling guilty. You can enable group gifting then choose a dollar amount that your guests can contribute to in the form of Amazon Electronic Gift Cards. You can also set it up so your guests can contribute dollars to a specific item. So, seriously, if you want a huge 4K TV to watch the game on in your future home, go for it! Your buddies won't think twice about chipping in when they know they'll be sitting right on your couch next to you come next Super Bowl Sunday. 8. If your partner changes their mind and actually doesn't like the hot pink shower curtain you registered for, you can return it (and any other unwanted gift) within 180 days of shipment. Nothing says "stress-free" like a happy couple who can return a gift they changed their mind about exchange for something fabulous someone forgot to purchase for them. 9. As your guests shop, you can use Amazon's Package X-ray to manage returns without even opening the box! What kind of magic is this?! The best kind. Using the Amazon app you can scan your wedding gift using the barcode scanner to see what's inside the box. If it's something you've already received or you simply don't want it, you can easily schedule a return and send it on its way. 10. Amazon Wedding registry users get free gifts just for registering from select vendors! Who doesn't love bonus gifts? Chances are, you're already going to register for cookware. If you choose to registry for over $400 worth of Circulon pots and pans, you'll receive an extra griddle and a stir fry pan! Planning to get on the Instant Pot band wagon? If your guests order more than $200 worth of Instant Pot items, you'll get a complimentary silicone starter set. 11. If your guests have an Amazon Prime Store Card, they'll automatically get 5% back on anything they order from your registry. Ooh, la, la — that's a big win for everyone involved! You get something you actually asked for and your wedding guest gets extra dollars back to spend on something they want. Win-win! 12. Once it's all over (hallelujah!) you'll receive a 20% discount that's good for 90 days after your wedding day. Ugh, I just love a good coupon. Prime members will receive 20% off select items after their big day. If your guests purchase $500–$999.99 worth of items from your registry, you can get 20% off of $1,000. If they spend over $1,000 in purchase, you'll be able to get 20% off of $1,500. Note that the coupon is a one-time discount, so shop wisely! See more details on how you can save here. Convinced yet? Fabulous! Now you can kick back with your soon-to-be husband or wife and start adding all kinds of nonsense to your Amazon registry. Enjoy your happily ever after!